In a victory for common sense, the Senate Appropriations Committee approved a bill that scales back a $10 billion nuclear bomb program. The bombs - estimated to cost more than their weight in gold  - now face strong opposition as it moves toward full Senate consideration later this year. Thursday afternoon, the Senate Appropriations Committee voted to cut $168 million in funds  from the program to upgrade the B61 nuclear bomb – a 30% reduction from the President’s budget request of $369 million. Much of the credit for this move goes to Sen. Dianne Feinstein (D-CA) – Chair of the Energy and Water Subcommittee – who is outspoken with her concern  about the bomb program. 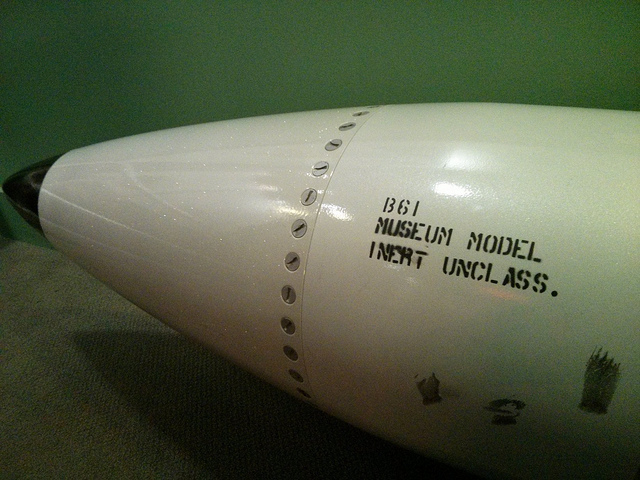 It remains unclear, however, how the B61 program is going to fare in this budget season. The House of Representatives, so far, is looking to add millions to the B61 program, and the Senate Armed Services Committee fully supported the program. Meanwhile, the budget sequester and general inability of Congress to approve appropriations bills keep the whole program in limbo. It’s clear, however, that the Senate just made a bold move to cut one of the United States’ most wasteful nuclear programs. It’s an action that Ploughshares Fund and its grantees have been working  to achieve. It’s also a strong signal that the days of unlimited nuclear weapons spending are finally coming to an end.